The Baja 1000, 24 Hours of Le Mans and Monte Carlo Rally might all have a fearsome reputation for breaking cars and the dreams of their drivers, but I think Iíve found a more gruelling challenge: the morning commute to the school where my partner teaches. It might not be televised, but this is a race where the Honda CR-V boasts an impressive trophy cabinet. As a highly anticipated 8am arrives on our kitchen clock ñ sadly not sponsored by Rolex ñ thereís the sprint to the CR-V, which springs to life with a push of the red ëStartí button. Check the fuel level, heated seats on, radio sound check, and itís go, go, GO as Murray Walker would squawk. The slow drive out of the pits (aka our estate) feels like an eternity and then itís on to the melee of the main straight, sorry, street. Oh no, a driver is holding everyone up, is he on a trip to the garden centre? Possibly, it opens at nine. The CR-Vís gear shift is a might notchy for the first few minutes, but once the temperatures come up, it has the sportiest feel of any SUV Iíve driven. At last, the rolling road block has pulled off with a blown motor and the string of red lights in front has accelerated up to 30mph, so weíre really flying. Iím sorry Honda, but the green leaf indicator in the dash wonít be glowing proudly today, Iíve turned ëEcoí mode off for fear of hesitating at a junction and inadvertently letting out a Rover 25. Sadly, this daily routine isnít the best for economy, but as red lights turn green, the engine fires back to life and the CR-V feels like a car you can depend on ñ thereís a real sense of engineering integrity. Itís a good job weíre not on the main road now, and this shortcut has some fairly punishing speed humps. I might not have taken RA16 LPP properly off road yet, but Iíve definitely enjoyed its longer suspension travel and extra ground clearance. Half race distance and itís time for a test of acceleration. This is the dreaded Eau Crossroads, where many a washed-up commuter has lost enough time to put them out of contention. Thereís a steady stream of traffic in both directions, so pulling across is a stern trial of any vehicleís 0-15mph capability. 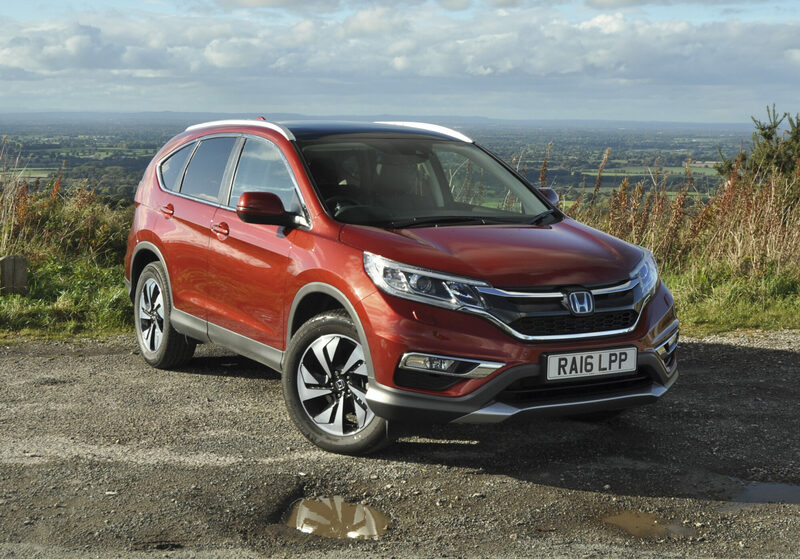 The CR-V is surprisingly good here, with a perfect start chirruping the front tyres before sending power to the rear axle and launching you on your merry way as you wave to traffic. A chicane between some parked cars: good steering. Three-point turn, thereís a bin lorry blocking the road, check whatís behind with the reversing camera. Gently mount a curb, with no risk of any damage thanks to those high-profile tyres. If we donít get stuck behind the brown Mercedes-Benz Sprinter school minibus, this could be a record. And if the í24 Minutes of Commuteí was a thing, the Honda CR-V would be the equivalent of a Porsche 911 at the annual French event. In fact, itís clearly better, because our CR-V tackles it five days a week without so much as a tyre change. 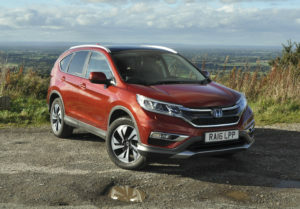 It might be an SUV, but the CR-V is actually a dab hand at urban driving. You have to press ‘allow’ on the touchscreen for the infotainment system to work, otherwise you’re faced with a blank screen.